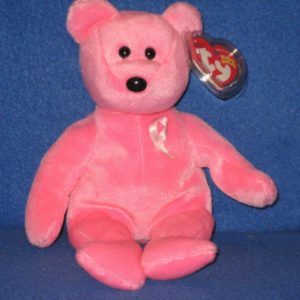 Notes: A portion of the sales from these Beanie Babies went to Breast Cancer research. These are very common and mass produced Beanies and don’t have much value on the secondary market. Online sellers on eBay can get between $5-$9 on good days.